ROSEMARY’S INSPIRATION: What Are You Holding Back in Yourself? 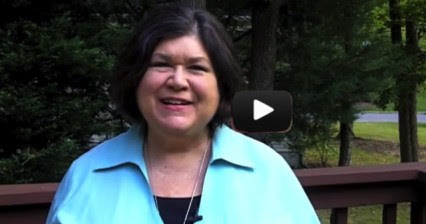 My “Two-Minute” Video for this Week: What Are You Holding Back in Yourself? It was a bright, sunny day with low humidity and a light breeze – a lovely June day in Maryland. I stopped at the bank on the way home to get some cash for the farmers’ market the next day. Because it was a sunny, bright day I wore my new “reader sunglasses” – sunglasses with a bifocal area for magnification to aid these aging eyes when reading in bright light. I needed to take them off to see the ATM screen at the bank; I placed them on the handy ledge below the machine. If I listened to that voice my unconscious mind heard “forget your sunglasses there.” The unconscious mind does not process negatives. It only hears and processes positive statements – I learned this in hypnosis and NLP training when I went to a few classes with Rosemary when she was earning her certifications. So, how am I blocked from listening to my intuition, changing my language used in “self-talk” to make only positive statement and become more fully aware, in every moment, of what is going on within me and all around me? And, what do I do about it? Be grateful for your unconscious mind. It keeps your heart pumping and your brain functioning and your lungs breathing and a whole lot of other processes operating in your life without your having to consciously make things happen. However, that same unconscious mind is operating in ways that can cause patterns and blocks that you might not know consciously, and might not have chosen if you did know, and you struggle with understanding why you can’t get things done or why you seem to be blocked from your successes. Yes, that seems true for me and does explain the blockage to becoming fully aware so that sunglasses are not lost. Is there a solution to the blocks; a way to move into full awareness? Rosemary writes: …if you are reading these words, then you are called to continue forward on your path. Take a step in the direction of your dreams. If you feel blocked, if you stumble, rejoice that you are growing. There are ways to see beyond what is holding you back. There are tools to help you and people to support you in your growth. Another lesson, another growth opportunity. Is this what my lost sunglasses episode is telling me? Here you can imagine hearing a loud groan! It was just about a year ago (June 28, 2013, as a matter of fact) that I wrote a similar post here titled “Awareness.” In that post I told the Zen tale of Nan-in and Tenno. The master, Nan-in, asked Tenno when he arrived on a rainy day to which side of the door he had placed his umbrella and clogs on entering Nan-in’s house. Tenno could not answer; he studied at the feet of Nan-in for 10 more years to become fully aware! I guess this means I have another nine years to go, another nine years of practice and study and “lessons in lost sunglasses”! Sometimes the hardest thing to recognize is a block or a pattern that is holding us back from manifesting our magnificence. We don’t know what we don’t know. So often clients come to me for help with a certain issue or problem in their life or business or relationship and the REAL problem is a block somewhere else. When that block is cleared, the other issues improve. We don’t know what we don’t know because it is the unconscious mind that has so much power and it operates, well, unconsciously. Understand that THERE IS NOTHING WRONG WITH YOU! You are not broken and you do not need to be fixed. But if you are feeling stuck or blocked or have patterns of behavior that you want to change but can’t seem to do this on your own, it’s a signal that you are ready to do some personal growth work. You are ready to leap forward and clear what is happening at the unconscious level so that you are free to move into your conscious choices, your conscious dreams. These are signs that point to the way forward for you on your path of growth. Nobody moves forward without moving through obstacles. Some are small and others are huge. Sometimes the path is smooth and we lull ourselves into a sense of security about having ‘arrived.’ At other times, the path seems to us as if it is totally blocked, that there is no way to move forward. How easy it would be to turn around and go back to the comfort of the familiar, or to stay stuck and play the victim! But, if you are reading these words, then you are called to continue forward on your path. Take a step in the direction of your dreams. If you feel blocked, if you stumble, rejoice that you are growing. There are ways to see beyond what is holding you back. There are tools to help you and people to support you in your growth. Find the help that you need. But don’t go looking for the steps AROUND the blocks! They won’t get you far. In these days of the 21st Century we don’t have time to delay. We are called to live our Purpose. Staying stuck or blocked doesn’t accomplish that. Be who you REALLY are. Ask for help if you need it. Move through the blocks and grow. Blocked? You can choose not to be! PS: Are you waiting to hear from The Other Side? Maybe your next step will be revealed. Are you looking for advice from beyond the usual? Join Rosemary for a Conversation with The Other Side at 7:00 PM Eastern, November 1 – All Saints Day. If you are in Maryland, join us in person. Or, join us by televideo conference or simply by phone. Learn more here.